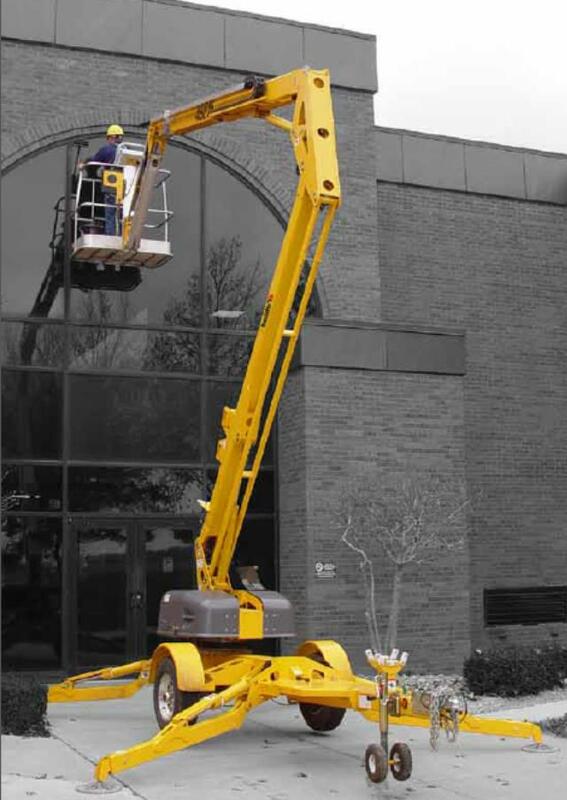 The trailer-mounted boom lift provides 51' of working height, 27' outreach, 20' 9" up and over height, and features an automatic, self-leveling hydraulic outrigger system that allows for setup in 30 seconds when all four outriggers are deployed simultaneously. This new 4527A Articulated Aerial Work Platform is 24v DC battery power. * Please call us for any questions on our lift trailer mounted boom 45 foot rentals in Santa Barbara CA.